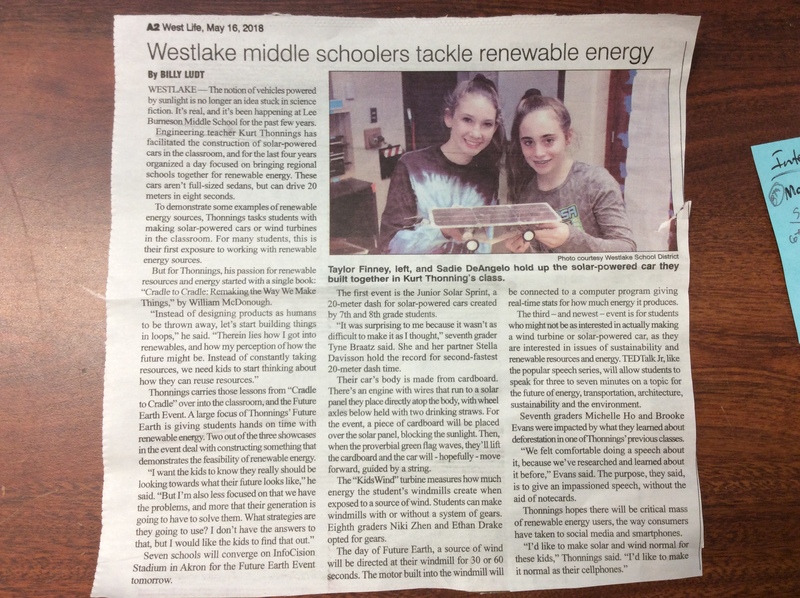 Students from 7th and 8th grade going to the Future Earth Event on May 17th at the University of Akron were interviewed by a reporter from the local newspaper Westlife. Represented were Taylor Finney, Sadie DeAngelo, Tyne Braatz, Stella Davisson, Niki Zhen, Ethan Drake, Michelle Ho, and Booke Evans. This event features middle school students participating in both competitive and non-competitive events: the Junior Solar Sprint, the KidWind Challenge, and an environmentally aligned TEDTalk Jr.